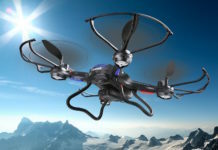 Drones, also known as Unmanned Aerial Vehicles (UAVs), have been a hot topic in the tech world for a while now. 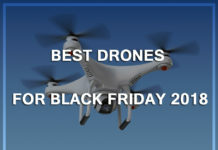 When you hear the word drones, do you automatically think about the sophisticated machines that were used for military purposes or the small miniature ones used for commercial purposes? 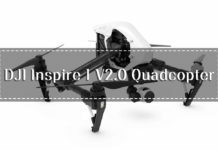 Many of us are yet to strike a balance between the two, and you will gradually realize that you can totally use drones for your everyday life. 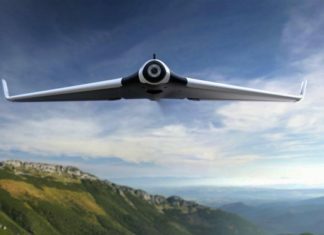 You may have heard so much about these unmanned aircrafts, the good, the bad and the ugly; but the fact still remains that drones are revolutionizing the world in ways we could not have imagined. 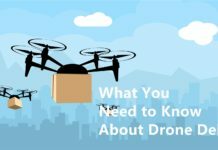 You may be surprised to learn that drones will soon start affecting your everyday life in various ways. 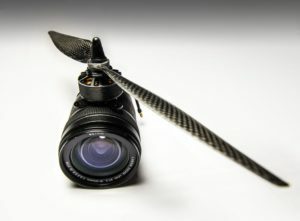 Recent studies show that by end of 2017, over 2.3 million drone models will be sold, mostly targeting photographers, farmers and basically anyone who fancies one for their personal use. 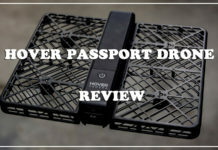 In today’s post, we discuss the various ways in which you can use drones, and some of the reasons why it is the high time you purchased one for yourself. 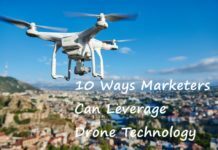 2 How Is The Drone Technology Essential In Everyday Life? Here are 5 reasons why you should seriously think about investing in a drone before the technology is outdated. When it comes to capturing an aerial footage, even for basic events, most people will either go for a helicopter or a drone. 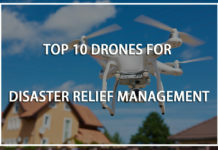 With drones being the most recent technology, it’s not so hard to see why they would offer more efficiency and time management. just the pilot and the camera operator, and there isminimal preparations required beforehand.This saves you a lot of time you can otherwise use to attend to other pending issues. Another factor is the weather. With drones, you can simply land and put off the mission until the lighting and weather is right. Once you spot even the smallest window, all you need to do is simply launch your drone and capture the shots. This is not possible with helicopters as you need prior planning. There are so many things you can achieve with drones. They can fly and access areas that were not possible to get to before, and take the require images. 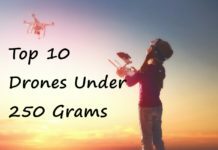 It’s interesting to note that UAVs can fly from a few centimeters off the ground up to 400 feet in the air in one continuous shot, allowing you to capture all the required data in just a few minutes. Moreover, they can fly inside a room, out through the window or rotate on the same spot, all the while, giving you the chance to take the perfect shot. 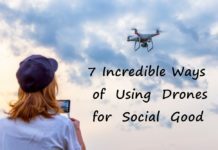 If you thought that drones can only be used in capturing pictures and videos, you are wrong! This is just one of the tens of applications, UAVs can be utilized for. They are used in farming, construction, security and surveillance, fun activities, livestock monitoring, among many more. 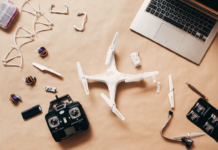 This only means that once you get a drone, it will come in handy in so many ways, allowing you to conduct your day to day activities efficiently. The first thing every buyer looks at when considering to make a purchase is the price of a product. 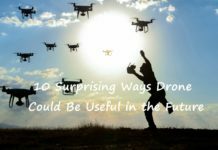 You are probably worried that drones, with all their numerous applications will have you breaking your bank. This is not the case, as you can get your beginner drone for as low as $30. 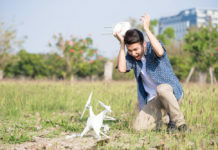 As you advance and know your way around these unmanned aircrafts, then you can invest in a more professional quadcopter, which can cost anything around $1700. You will also be happy to note that hiring drone services is much cheaper than helicopters and will save you a lot of money. 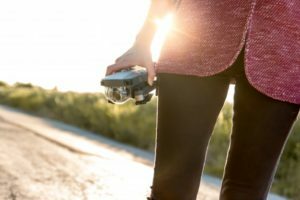 Drone photography and filming, for instance, can cost you from approx. $450 to $7,000 depending on what you want and the time involved. When it comes to photography, you do not want anything that is less than full HD, in terms of both pictures and videos. Drones, are able to offer you full HD aerial pictures and videos without compromising on the quality. 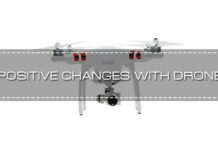 More advanced UAVs can also capture pictures and film using 4K technology which gives you much more clarity. How Is The Drone Technology Essential In Everyday Life? In the past year alone, there have been massive drone sales, all due to the fact that these unmanned machines do more harm than good. Gone are the days when you would hear about drones and the only thing that would come to mind is military use. Drones are no longer exclusive for use in the military industry. 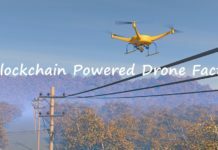 Moreover, there are various industries which have already heavily invested in drone technology, with more said to follow suit in the coming years. 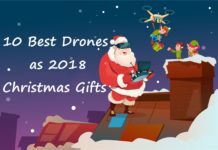 Drones can also benefit you in more ways than one, in your everyday life; and it’s about time you considered purchasing one, for your day to day activities. Are you a farmer and are constantly worried that you are not keeping up with the state of your crops as you should? It’s very hectic doing it on your own, and if it’s a large farm, sometimes it’s simply impossible to survey the fields every day. 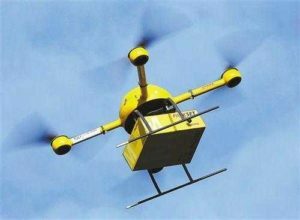 helicopter or aircraft to survey your fields, which would cost you over one hundred dollars per hour. Purchasing your own UAV, will cost you anything around $1200. What’s more? You can use imagery obtained from a drone’s camera to accurately estimate your yield before harvest time. 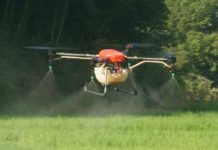 Did you know that with recent advancements, you can use these UAVs to apply pesticides and fertilizers efficiently, which not only saves you a lot of time but boosts the yield? 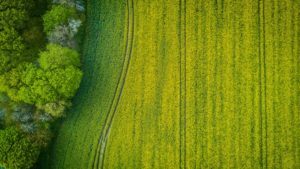 Drones can also help you generate precise information about your crops and fields, in relation to plant health, height, presence of weeds, plant diseases and tile runs and breaks. Moreover, you can also generate 3D data on holes, piles and hills in your fields. You can also create plant index images, which help you identify which plants seem to be absorbing maximum sunlight and which ones have a water deficiency. Therefore, if you want a healthier and more productive yield this year, you can probably see why buying a drone is the smart thing to do, as opposed to tending to your farm physically, which ends up taking more time and yielding far less satisfying results. For most of us, not a day goes by without capturing an epic moment on camera, using your smart phone. Photography has slowly become part of our lives, and with good reason. You can look back at the pictures and videos captured and reminisce about the major moments of your life. We all want impressive pictures, with an outstanding quality and clarity. Why not use a drone instead of your regular smartphone? With advanced features such as WIFI capabilities, drones these days not only give you clear images, they also allow you a First Person View of your drone movements, enabled by live WIFI streaming. Using a regular camera will not allow you to achieve such. Adding a gimbal to your drone completely transforms your whole experience as you can now control what your camera sees. This feature also allows you to capture images straight from your smartphone, when using the drone. Interesting, right? include a lot more people in your pictures, and the best part is you will get a real aerial view. Are you in real estate and the quality of the pictures you take using your camera or smartphone, of the scenic sites are a constant disappointment? Try using drones to take pictures instead and watch as your clients marvel at how clear and high quality they are. 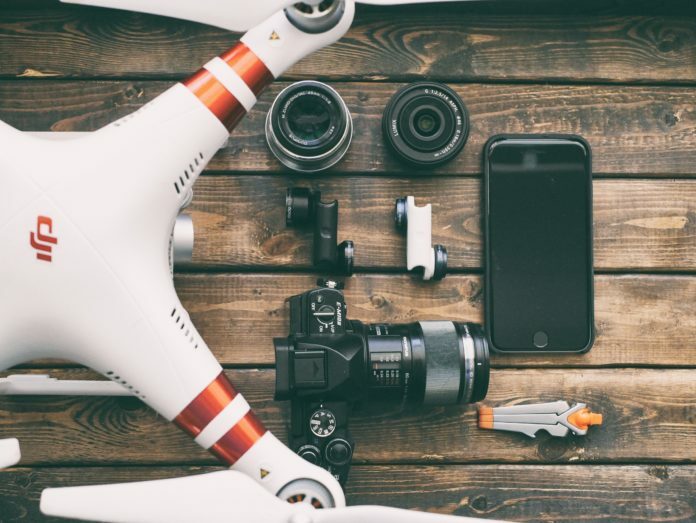 Moreover, those who want to sell their property can also use drones to capture overview shots of the properties, showing particular details buyers would be interesting in. What’s more? You can even record a footage of the surrounding environment to create a virtual tour for potential buyers. You have to agree that you would not achieve all this when using other regular cameras. 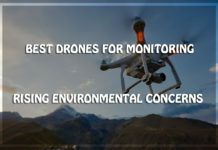 If you have a company in the technical industry, mining, or construction then, you will also greatly benefit from investing in a powerful drone to conduct the machine inspections, since they are very effective in finding structural flaws. They can get close to treacherous spaces that you or other machines or people cannot access, and take clear images that you will use to form the basis of an inspection. Discovering flaws on time will cut out any down time you might have experienced before when your machines break down, which affects the production levels. Have you been wanting to move to a particular location, but the fact that you may not like the environmental conditions there keeps stopping you? Well, with your own personal drone, you can visit the area and launch it in the air to allow you collect information regarding the area’s air quality. You can also gather other relevant data, including pollution levels of the vicinity, pollen count in case of allergic reactions, temperature and humidity. This is information you will not get using other means, and it will greatly help you make a decision as to whether to go ahead and move to the new residence or not. In most cases, we have no idea where we want to move to. Well, drone technology has allowed us to view websites and real estate ads that have a fly through of the entire place. This is usually captured by a miniature drone, and allows you to see the apartment as it is and not an enhanced version as is the case with many real estate websites. location at all times, as well as their health status. You can also get precise data in relation to the herd count and their physical attributes. Using drones for surveillance will ensure that you do not miss out on specific details regarding your livestock, which would happen so many times before. You are in control every day, at all times. You do not have to live in a bad neighborhood to invest in a drone specifically to enhance your security. 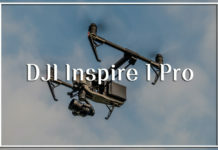 Although drones use in surveillance has raised several infringement of privacy concerns, you can now set up your drone to only survey the perimeters of your compound or property. Moreover, with advancement in technology, you can now set your patrol path using GPS based waypoints in 3D. This prevents your drone from surveilling other areas. Having a drone hovering over your home can be pretty disturbing at times, but think about the footage it can capture in case of a break in. you will have all the relevant information to help the authorities conduct their investigation. You can achieve the same using regular CCTV cameras, but trust us when we say that drone footage gives much more detail and precision. You heard right! Drones can be fun too. 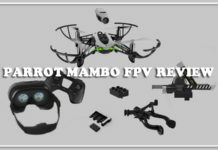 If you love speed and video games, then you will definitely love using your drone for First Person View (FPV) racing. This basically involves competing with other drone users while using the front camera to see and direct our drone. 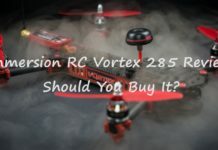 You can compare drone racing to a video game, except that with the latter, you are encountering real situations, and controlling a real drone. It’s a very exhilarating and thrilling game that you will most probably end up getting addicted to. All you need is an agile drone that can navigate different situations and take swift turns and you are good to go. Drones are amazing machines that you can use for so many applications in your day to day life, both for business and leisure. Although this technology is yet to be fully utilized, it shows great potential. You should invest in one now, and let the technology work for you!